Android Emulators allows you to use Android applications on your Windows PC and Mac. If you want to use android apps on the big screen as a PC or laptop, then you need to use Android Emulators. Among many available android emulators, BlueStacks is the one. Most of us use BlueStacks in our Windows and Mac PC. But due to some reasons like size, some errors, performance and more, if you are looking for BlueStacks alternatives for Windows and Mac, then you have done the right thing by landing on this page. In this article, I have listed the top most used BlueStacks alternatives for Windows and Mac which you can try. Android emulators play an essential role in giving you a great experience of using Android Apps and playing some good games on big screens like Windows and Mac Computers. Emulators make us the job of installing Android apps on our PC simple. Just with a single click, you would install Android Apps and use them on PC or Laptop. BlueStacks being one of such best android emulators and due to some reasons we would be looking for BlueStacks alternatives for Windows and Mac, and here we would let your search end. Stay tuned till the end of the article. BlueStacks alternatives for Windows and Mac are what you are looking for? 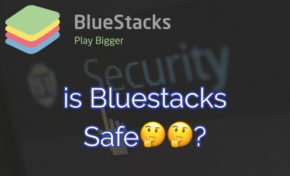 If yes, then Read the article until the end and choose the best alternative of BlueStacks for Windows and Mac. YouWave Android Emulator is said to be one of the best BlueStacks alternatives for Windows and Mac. It works well with Windows PC ranging from Windows XP to Windows 8.1 including 32-bit and 64-bit. It will come with a built-in app store which allows you to install your favorite and needed android apps on your Windows PC. The YouWave android emulator also lets you play multiplayer games which give you great gaming experience. It is the premium tool but can be used for free for a few days, and it is worth buying. Give it a try! Genymotion is said to be another BlueStacks alternative for Windows and PC. Genymotion Android emulator allows you to use different plugins for eclipse and android studio. 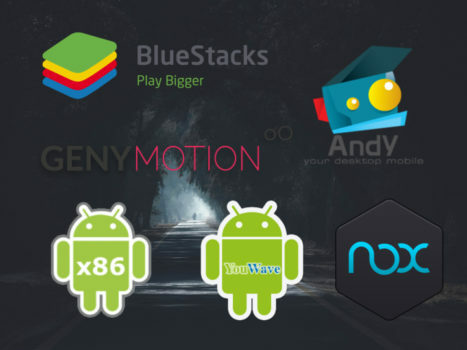 You can play android games, and apart from that, you can create your android apps and test them using Genymotion. It comes with more the 3000 android configurations which allow you to check your apps. Genymotion Android emulator is available for both Windows and Mac. Download Geny for Windows and Mac. Andy Android Emulator for Windows and Mac is needed when you are facing problems with storage or small screen android devices. You can use it quickly and can open android apps with just a single click. It has some incredible features, and you can do a lot more which you cannot do on your android smartphone. Andy Android Emulator is the best BlueStacks alternative for Windows and Mac which allows you to use all Android apps. It also allows you to access file manager of your Android device, receive notifications of your android device on your Windows and Mac and more. If you are not developer minded and wants to use your android device on your PC or Mac, and then go for Andy Android Emulator. Download Andy Android Emulator for Windows and Mac. Nox App Player is also the best BlueStacks alternative for Windows. It creates the Virtual Android Operating system on your Windows PC and allows you to use any android app on big screen. You can even create your android apps and test using Nox App Player. It is available for all versions of Windows including Windows 10. If you are facing problems with storage or RAM, then Nox App Player is the best alternative to give a try. It allows you to install and use an android app and if you are fond of playing android games on big screen, then give a try to Nox App Player for Windows. It comes integrated with Google Play Store which makes it easy to download and install android apps on Windows. User Interface of Nox App Player is simple and easy to use. It allows you to use the camera, voice controls, shaking functionality, full screen and more. Download Nox App Player for Windows. Android X 86 android emulator allows you to use android apps on your desktop. It has useful features like Kernel support, Mouse Wheel, Sensor and more. Run Android apps on your Windows PC and can have the gaming experience on big screen. It also supports Bluetooth and GUI support. If you are looking to play android games on your PC, then Android X 86 is the best BlueStacks alternative for Windows PC. These are the best BlueStacks alternatives for Windows and Mac. Please let us know your favorite BlueStacks alternative in the comments below.